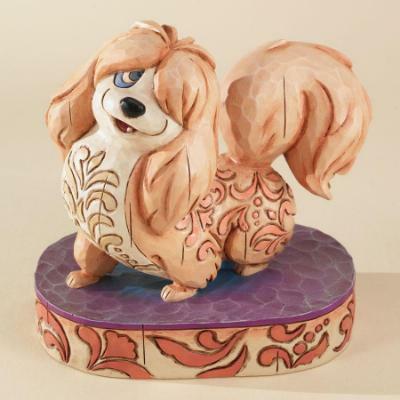 Disney aficionados and dog fanciers everywhere will adore these best-in-show canines designed by renowned American Folk artist Jim Shore for Disney Traditions. Here is the flirtatious Peg from Walt Disney's Lady and the Tramp. You can earn 22 Grandmas Under the mattress CASH points on this product!